This blog post is going to be on how I deep clean my makeup brushes. A couple of months ago I was thinking about purchasing the Sigma Beauty Spa Brush Cleaning Mat but at just under €33 I thought it was a bit too pricey so I went on eBay in search of something more reasonable and that's when I came across the Brushegg. The Brushegg is an egg shaped silicone brush cleaning tool that you can use to deep clean all your makeup brushes. It has grooves the whole way up along to help get right into the brush and clean out any makeup you'd normally miss. It also has small knobs at the top to help lather the brushes properly. The egg has a hole in the bottom so it's easier for you to hold while cleaning your brushes and is made from good quality silicone that won't destroy your makeup brushes. Image source: ynaan on eBay. To clean my brushes I wet the bristles first, place a small amount of baby shampoo onto my Brushegg and rub the brush in circular motions on the brushegg until it's clean, I then rinse off any excess shampoo and place them on a towel to dry off. My brushes feel much softer and are much cleaner after I clean them after I started using the Brushegg. I've even been cleaning my blending sponges using my Brushegg. I bought mine on eBay for around €1.50 and although I was waiting a while for it to come from China it was well worth the wait. They come in various colours and are so small and compact they're easy to fit in your makeup bag. A must have for every makeup lover in my opinion! 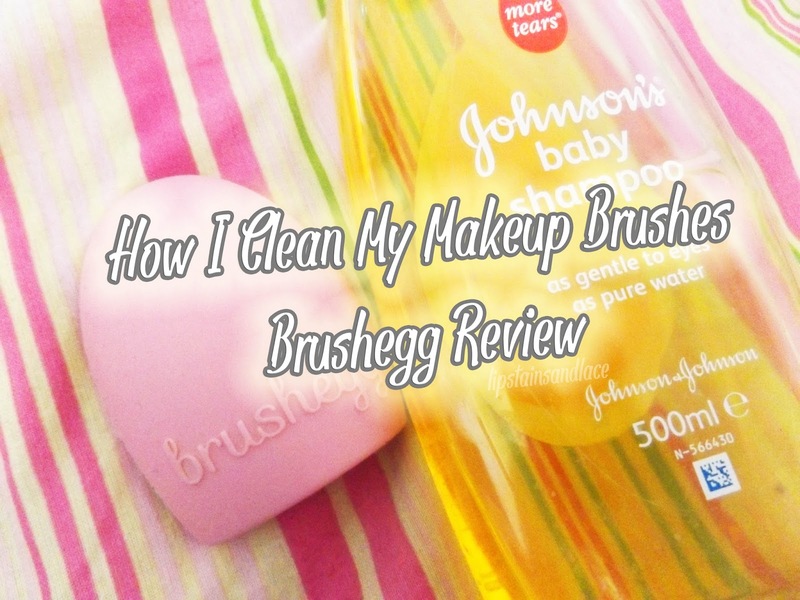 When I'm just doing a quick clean I use the Penneys/Primark Makeup Brush Cleaner, you can see my review of it here.